Are you in Minnesota or the surrounding states and looking for the highest quality conex boxes around? 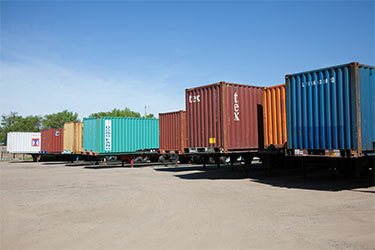 With depots located around the U.S., we are ready to deliver one or 100 storage containers to your location. Our fast and friendly service cannot be matched by anyone in the industry. Big Blue Boxes has the most secure and durable conex boxes for sale in Minnesota. By using steel, you can ensure your possessions will be safe and that no person or animal will be able to get in without having the key. But storage isn’t the only thing that people are using conex boxes for these days. Some people have started turning our conex boxes into homes! 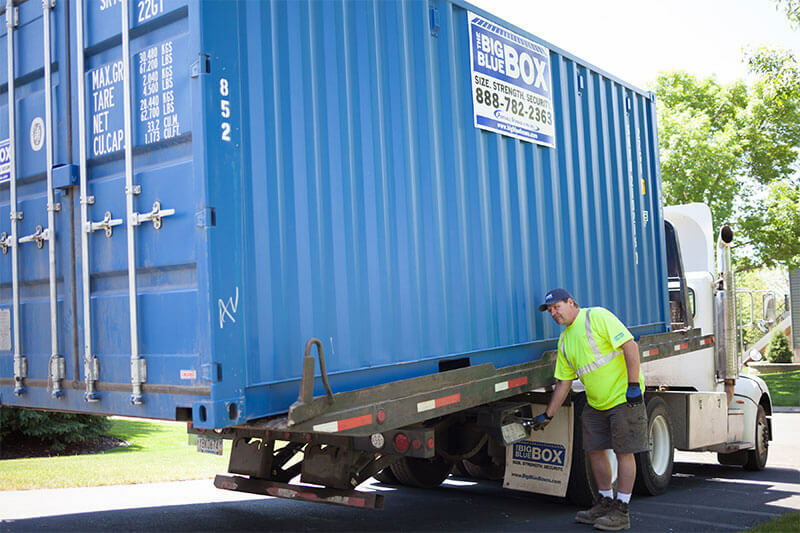 Whatever you want your conex box for, Big Blue Boxes will deliver your unit to your home and pick it up when you’re done with it. Government agencies such as the military can use our containers to store items that need to be kept both safe and dry. Perhaps their most common use, our boxes are perfect for shipping freight across the country or across the world. Whether by ocean cargo ship, train, or a truck trailer, our boxes will get your items from A to B safely. Whether you have a business that only operates seasonally or you have some personal belongings that take up too much room, our boxes are the perfect seasonal storage solution. Have you outgrown your existing space? Need some more storage for your files or anything else your office may have? Our storage boxes provide the perfect solution for you. Our conex boxes are the most durable in the industry, meaning they will keep your possessions safe no matter the weather or the conditions they endure. By using steel, we are preventing any thieves or critters from getting into your storage containers. Your possessions have never been safer. We deliver our conex boxes to and from your house, so all you have to worry about is packing the boxes and storing your belongings. No matter where you are in the country, Big Blue Boxes offers nationwide delivery. We will deliver our boxes to your house, and then when you’re done, we will come pick them up and take them to where you need them next. Let us handle all of the logistics; you just spend your time on storing your belongings. For our first time customers, we offer 25% off your first storage container delivery when you rent a box for 3 months or more. Learn more! Are you a farmer who can’t afford to build more storage? Check out our farm storage containers page to find the solution that works for you! Are you moving? Remodeling your home? Need extra space? We offer residential rental solutions that will give you the storage that your home needs. Learn more! As a business, you’re certain to need extra storage space at some point. View our page on business self storage containers to learn more about what we can do for you. No matter what your conex box storage needs are, Big Blue Boxes is the solution for you. If you’re ready to get started, view our pricing page or contact us to receive a quote.